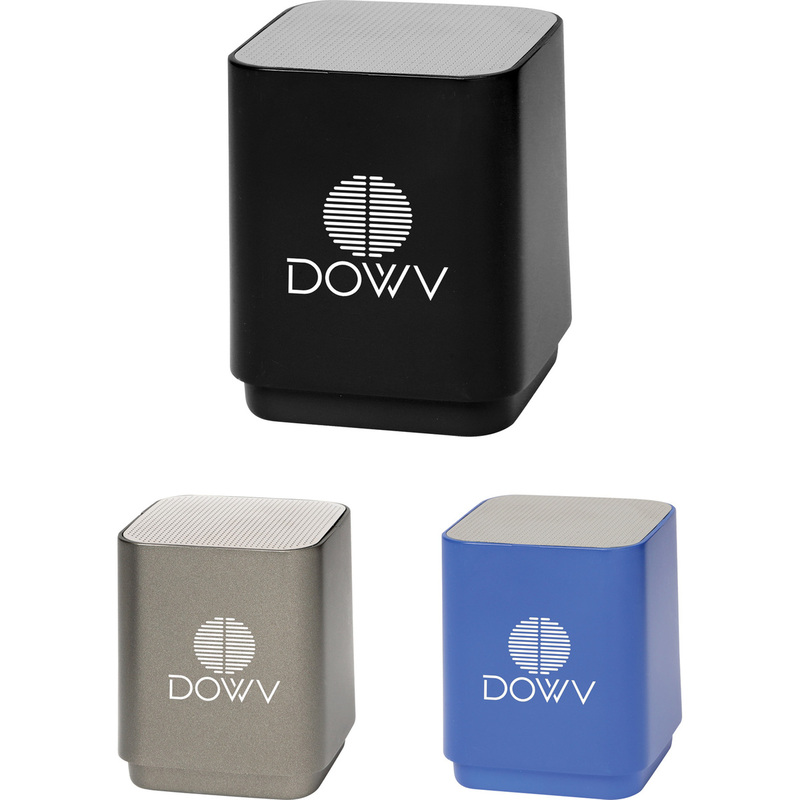 The Light up Logo Bluetooth Speaker has an internal rechargeable battery that provides up to 1.5 hours of nonstop music. Beneath the front section of the speaker body is an LED panel. When the front section is decorated via laser a light shines through. A micro USB charging cable is included. The Bluetooth's working range is 10 meters (33 feet). Charging time: 2hrs.